Apple has reportedly signed a two-year contract with Samsung for the supply up to 92 million curved OLED panels, as it attempts to ramp up capacity for this year's release of its high-end "iPhone 8". Earlier this week supply chain sources claimed Apple had ordered 70 million units of panels from Samsung, its sole OLED supplier for the upcoming phone, which is expected to feature a major design overhaul. However, according to reports on Thursday in Korea-based ET News, Chosun Biz, and other media outlets, Apple has upped its OLED demands in an effort to cater for higher demand later this year and beyond 2017. 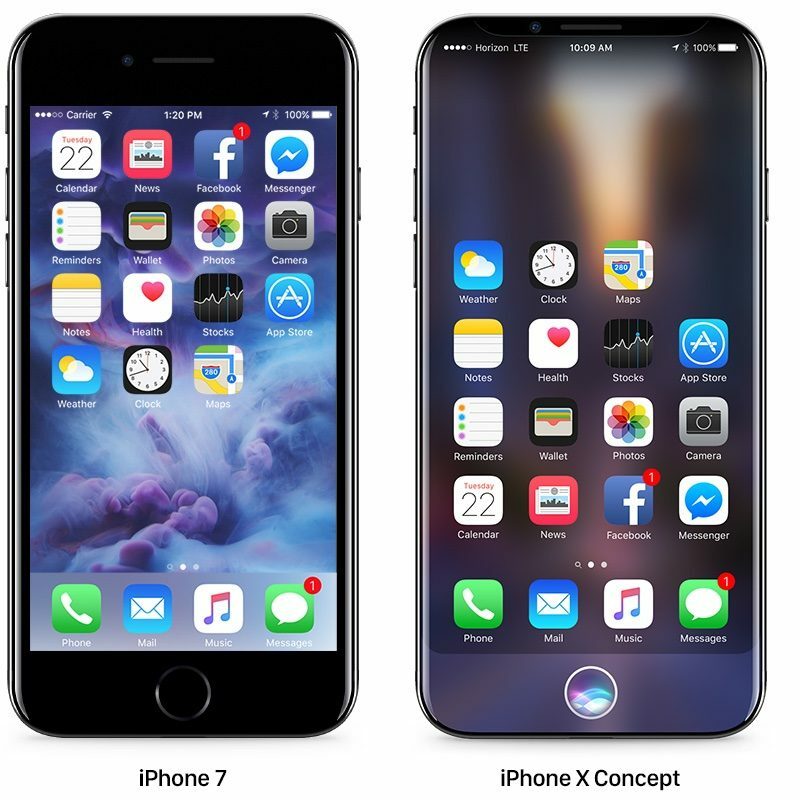 Rumors have consistently suggested Apple will offer the OLED iPhone alongside more typical iPhone 7S and 7S Plus models with standard LCD panels when it announces the devices in September. Apart from a 5.2-inch edge-to-edge display, the redesigned "10th anniversary" iPhone is thought to feature a glass body, some form of wireless charging, no Home button, and a premium price tag. Meanwhile, Taiwan-based Yuanta Securities Investment Consulting has estimated that shipments of Apple's forthcoming iPhones are likely to reach 100 million units in 2017. At least 55 million of the units are expected to feature OLED panels. Samsung has reportedly converted an LCD factory in Asia into an OLED panel plant to meet Apple's demands. The South Korean firm's total investments for OLED production lines could reach 10 trillion won in 2017, according to sources from the supply chain. 92 million ordered. 100,000 available at launch. No, it's not. I have an OnePlus 3 rocking for 8 months now without any issues. Thanks for your input, but you use one phone and have been using it for less than a year. I see hundreds daily, various models of various ages and generations. It's a huge issue. Screen burn still concerns me. I work with 2nd hand phones and OLED screen burn is a huge issue, still. They have probably found a way past the problems with OLED, Apple usually does this with a technology which is why they are not usually the first to do something, they usually wait until the technology matures and work on solving problems. Seems like there are just some things only the devil can offer. Have u ever seen a demon model not be on 100% of the time ? Maybe a little burn in....? Hopefully I can actually get my hands one of the 92 million OLED iPhones come Fall. I had an OLED phone - Samsung. It was very good, but my phone now has an IPS screen and it's basically exactly the same to use - possibly better battery life due to it being a Sony. Only difference is OLED can go really dim without grey-out, so if I'm using it in complete darkness it was marginally better before. Otherwise it's something where you notice the difference for maybe 10 minutes and then it's just a phone again. So in summary, OLED is going to bring marginal improvement to your already fantastic display for a not so marginal price increase. If its a curved screen like the one on the Galaxy S8 then you can keep it. Don't want a curved screen that wastes space, distorts pictures and makes it hard to do anything at the corners on! WTF already, stop with all these pointless curved screens!!! 92 millon reasons to TAKE MY MONEY!